An uncontested divorce is a divorce in which you and your spouse are able to agree without court involvement on all the major issues in your divorce, such as child custody, visitation, child support, spousal support (also known as alimony), property division and debt division. If you’re able to agree on all of these issues, you will not have to go to court and argue your case. Instead, you’re simply able to file some court forms and a “divorce settlement agreement,” which provides an overview of all the decisions you made together and the way in which you will divide your assets and debts, the custody schedule you’ll have for your children and the amount and duration of support payments. The ultimate agreement you sign will still have to be approved by a judge, but rare is the case in which a judge will decline the settlement agreement. Only if the agreement is clearly slanted in favor of one of the parties or if one of the parties was under some form of duress at the time will the judge strike down a divorce agreement made outside of the court. Just because you’re able to handle an uncontested divorce in Lubbock, TX mostly outside of court does not mean you don’t need any legal assistance. It still strongly benefits you to at least have a lawyer who’s able to look over your paperwork and determine whether you’re entering into a deal that’s fair for you. This is especially true if you have children, or if the assets you own add some complexity to your divorce. Still, there are some couples who are able to get by without legal assistance. These are usually couples who have been married for a short amount of time, do not have children they need to take care of and do not have many assets or debts they need to split up. 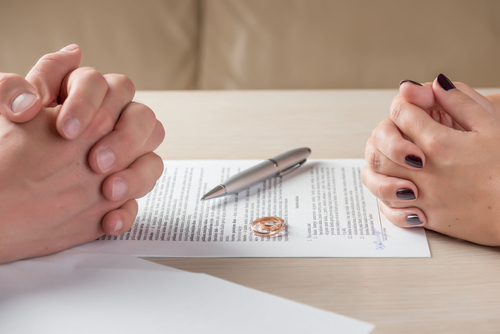 You can opt to go through divorce mediation as part of an uncontested divorce process, during which you can have an attorney with you, but their presence is not required. Mediators are third-party professionals who guide discussions you have about various issues related to your divorce and help you come up with positive solutions that will work for both parties. Keep in mind, though, that the more complicated the issues relating to your divorce, the more likely it is that you will not just benefit from an attorney, but absolutely need one to get through the process as smoothly as possible. The advantages of an uncontested divorce are clear—by avoiding more time in court, you cut down on the amount of time it takes to complete the divorce process, so you can move on sooner. You also experience some significant savings, as divorces that either fully or partially go to trial will cost you significantly more money in legal fees. Finally, staying out of court helps you minimize conflict with your spouse, which will be especially helpful if you will need to co-parent. For more information about uncontested divorce in Lubbock, TX, contact the Law Office of Rob Biggers today.